And just like that, 1/3 of the Arizona Fall League is complete. Six weeks of playing baseball in the Valley of the Sun does not take long at all. In some of the most exciting news of the week, Nico Hoerner slid over and played second base on Friday night. The thought of him doing that has always been there, it was just a matter of time before that move was made. On Saturday, Nico was back at SS and began the night with a triple followed later by a HR. As well, Trent Giambrone took one out of the yard on Friday and improved his OPS to 1.369. P.J. Higgins homered earlier in the week. 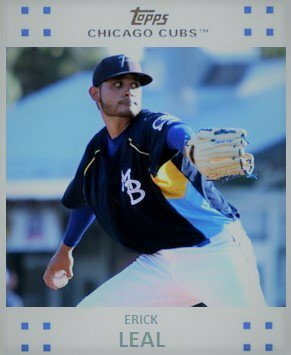 In addition, Erick Leal threw three scoreless Friday night and has yet to allow run in his two starts. Justin Steele’s second start this week was a scoreless affair. He said that he was a little bit too amped up for his first start. Add in D.J. 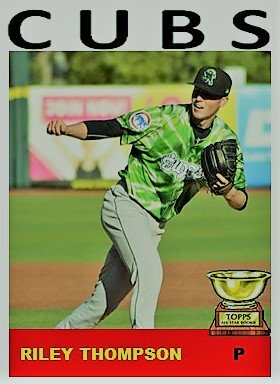 Wilson getting off the hitless schnide and it was a good week overall for the prospects. Just like the regular season, the Cubs’ 9 prospects will have ups and downs. However, two players are standing out a little right now. Pitchers Bailey Clark and Manny Rondon have been excellent in relief. Neither has yet to give up a run while Rondon has yet to give up a hit. Both are raising their profiles with their performances but I wonder how much. Rondon is? He is eligible to be selected in the Rule V Draft in December while Bailey still has a ways to go before that is an issue. Major League Baseball officially released the order of the first round for next year‘s major league draft. The Cubs are currently slated to pick 27th, but it’s not going to matter. The Cubs are more than likely going to go sign a free agent who will cost them a first round pick. Who knows, the Cubs could even lose their second round pick, too, depending on who else they sign. It’s pretty much lightening my load for draft prep for next year. In fact, free agency might make it almost nonexistent. While the Cubs do have a few free agents of their own this winter, there’s no one even close to getting a qualifying offer from the Cubs to recoup one of those early round picks. Free agency officially begins one week after the World Series ends. In addition, the Rule 5 Draft is set for December 13. In my other gig for Cubs Insider, two parts of a three-part series were published this week on some not so obvious guys to watch out for in 2019. The first part in the series was on hitters and the second part was on starting pitchers. The third part on relievers should be out sometime in the middle of next week. Over at BP Wrigleyville, I’ve got an article coming out tomorrow on Michael Rucker as a sleeper bullpen arm for 2019. Starting on Tuesday, I will have the my top hitting, pitching, and relieving storylines for 2019. 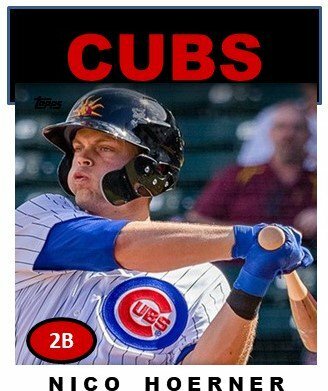 Next ›What Will be the Top Hitting Storylines in 2019 for Cub Prospects?